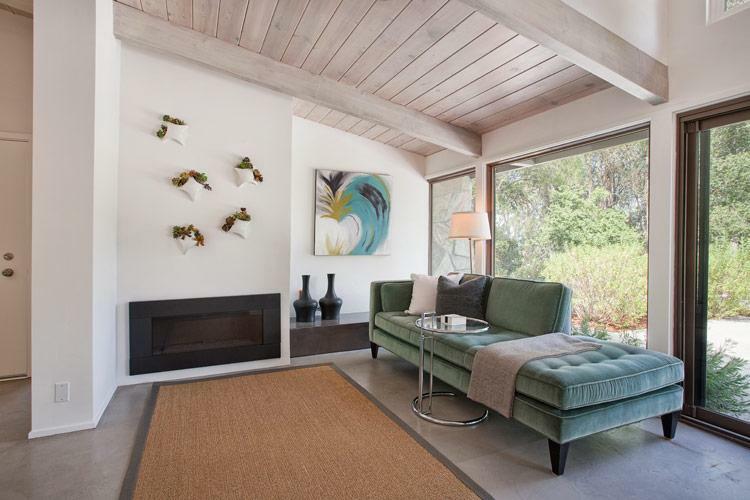 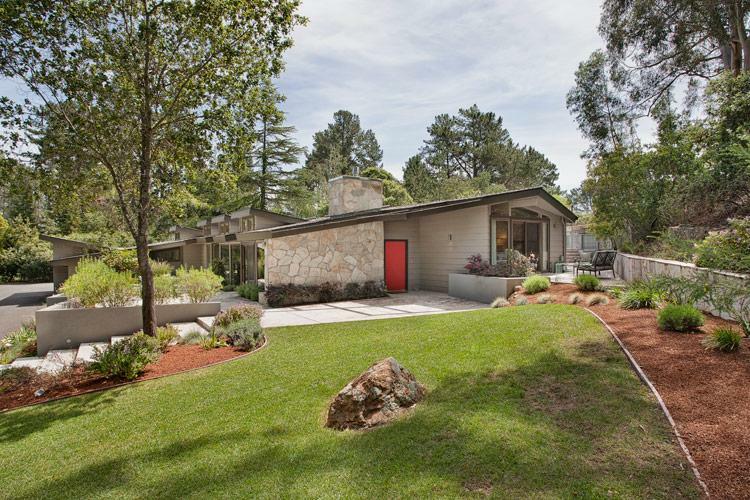 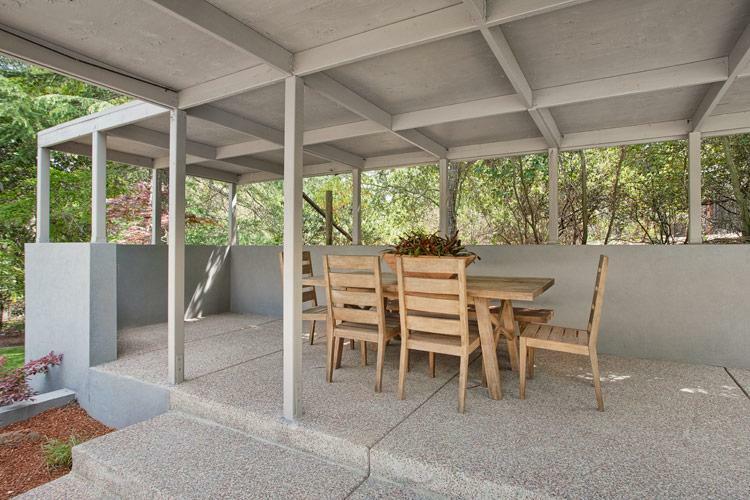 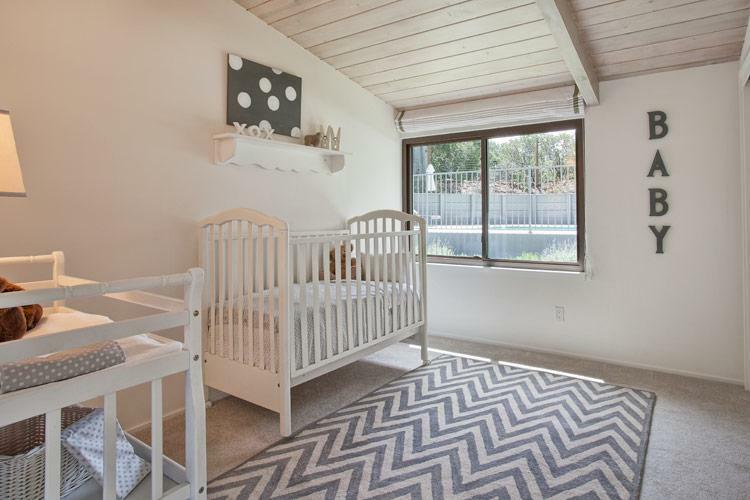 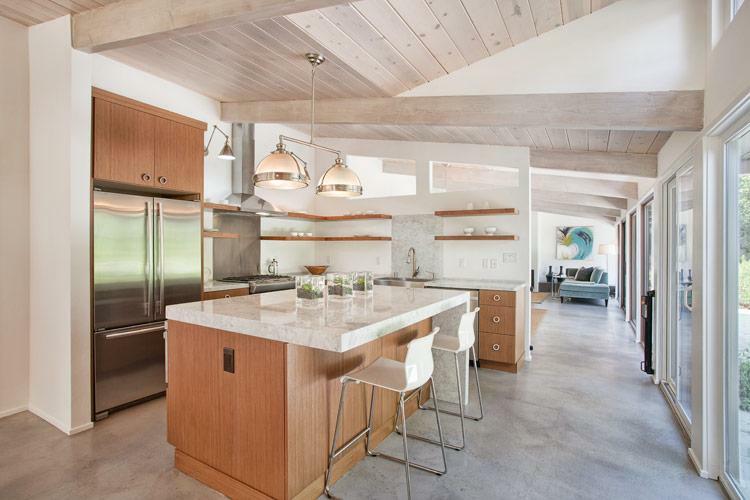 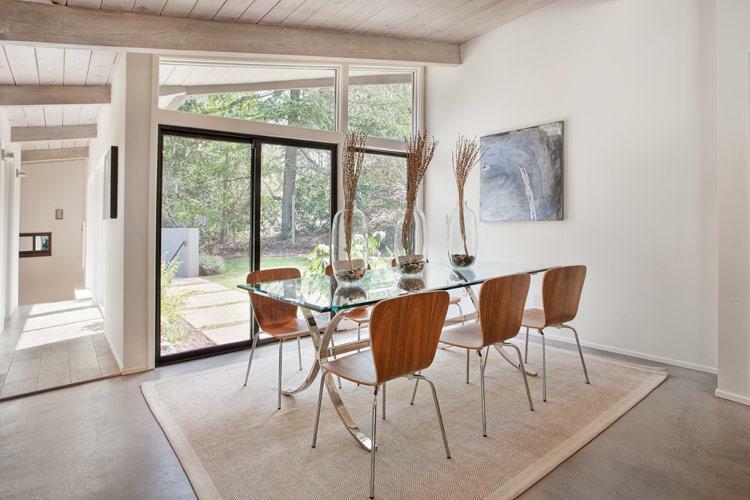 Under towering eucaplytus and majestic oak trees in tranquil Westridge, this updated mid-century ranch-style home invites casual entertaining and leisure time. 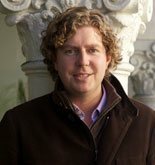 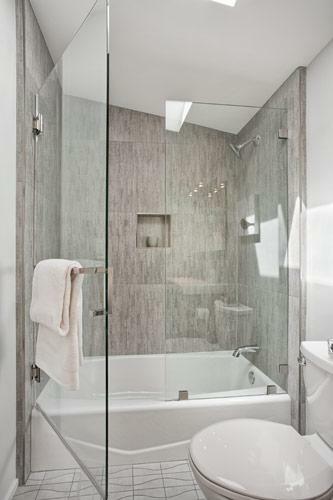 With an approx. 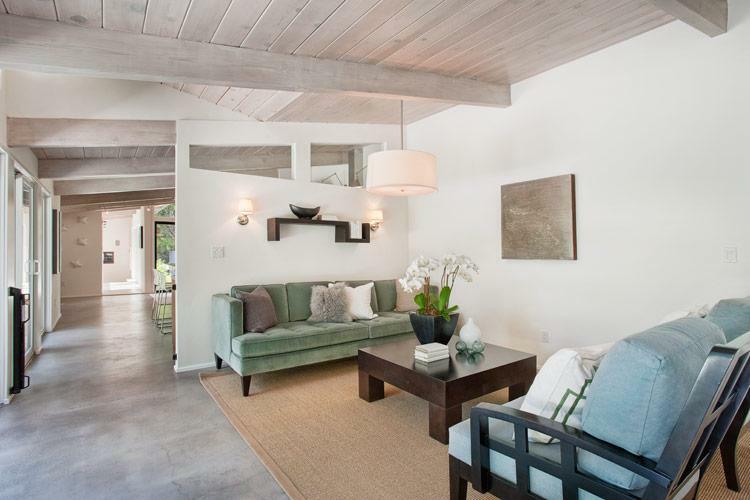 2,254 ±sf floorplan that includes 4 bedrooms and 3.5 baths, floor to ceiling windows integrate the interior living space with the outdoor spaces while stylish concrete floors and vaulted tongue and groove beamed ceilings graciously unite living room, kitchen and dining area. 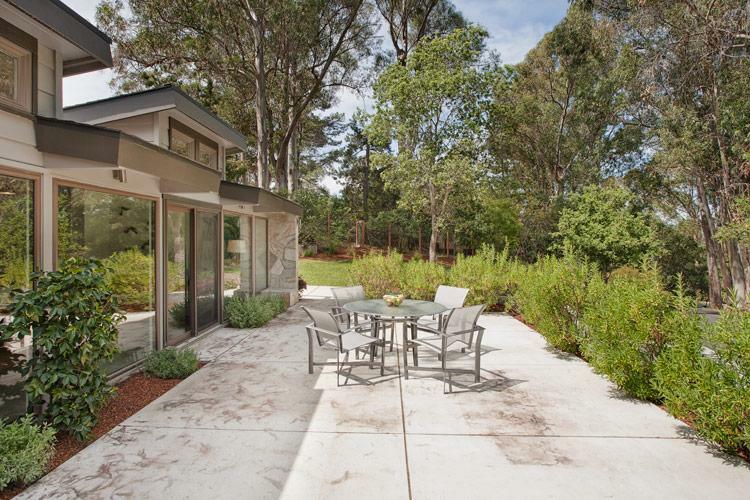 Patios, gardens and poolside spots take in the pastoral setting. 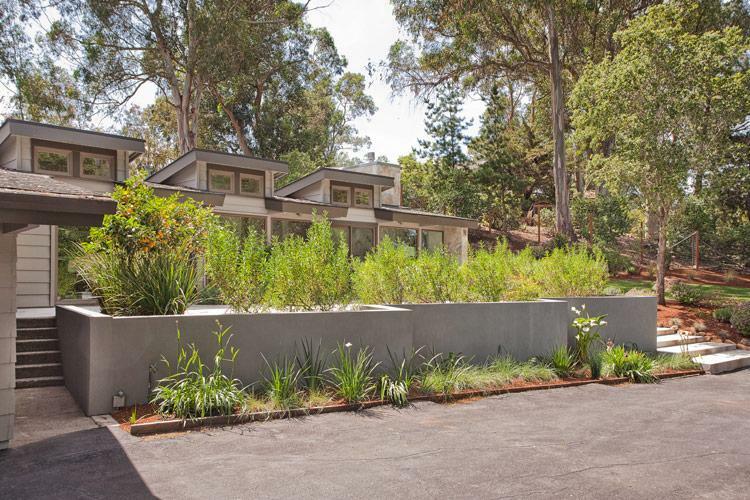 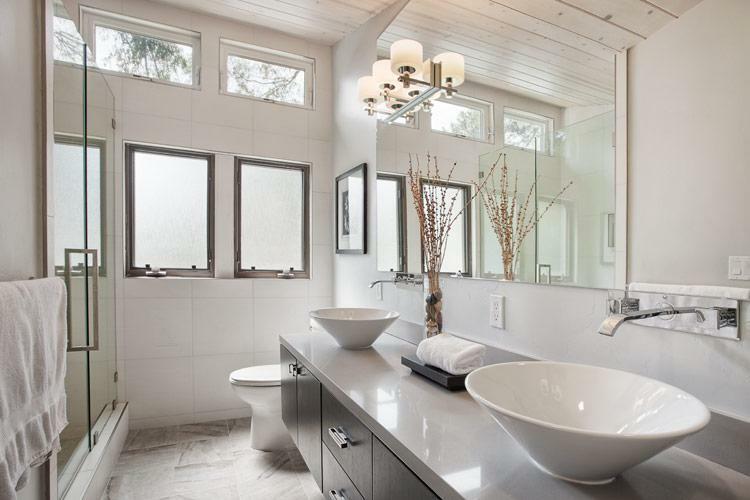 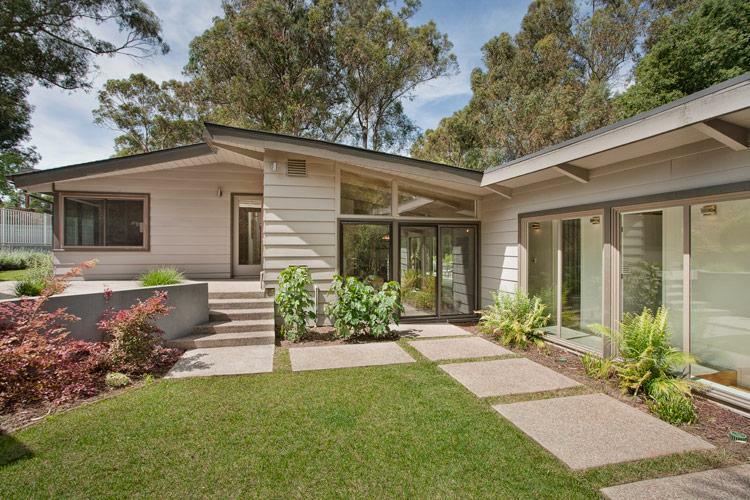 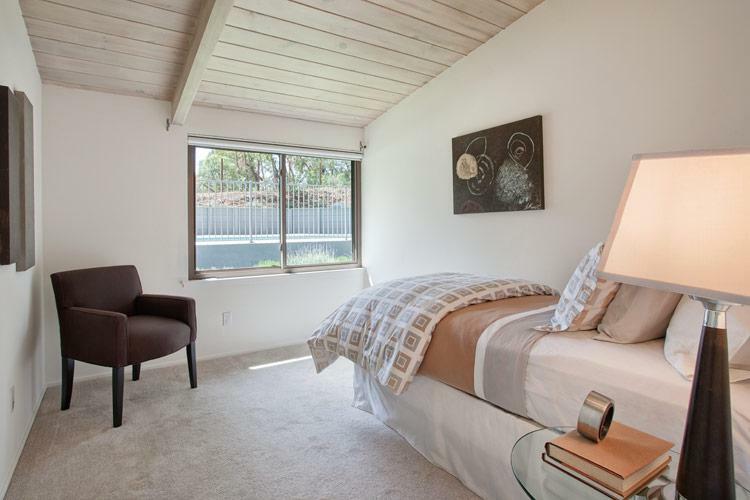 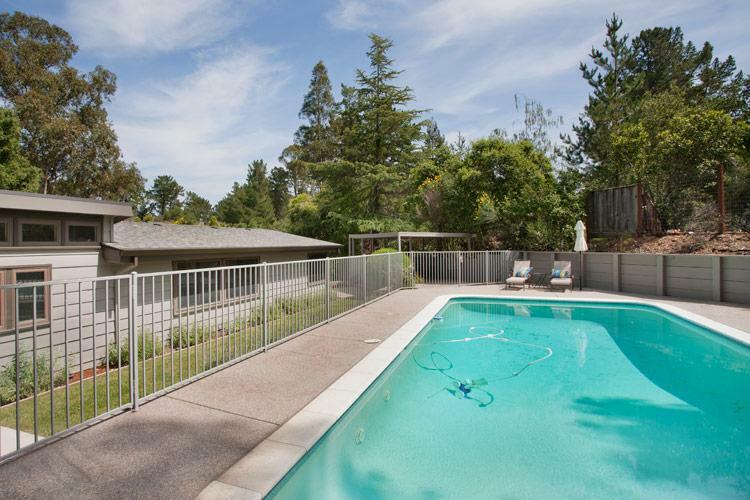 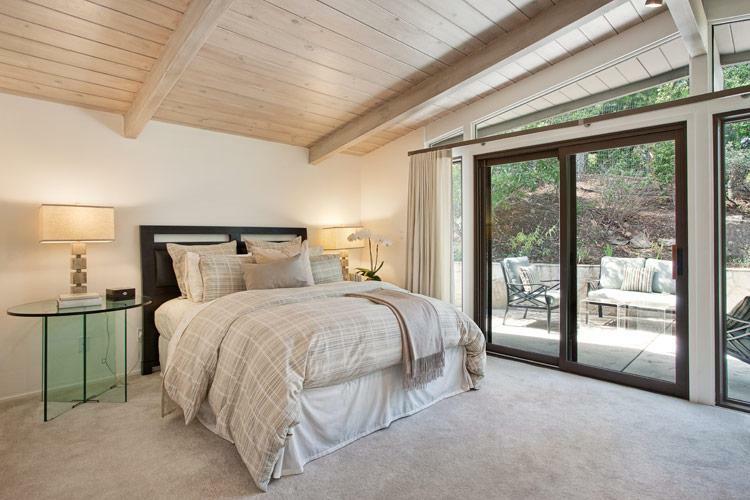 Conveniently located five minutes Portola Valley shopping and business area. 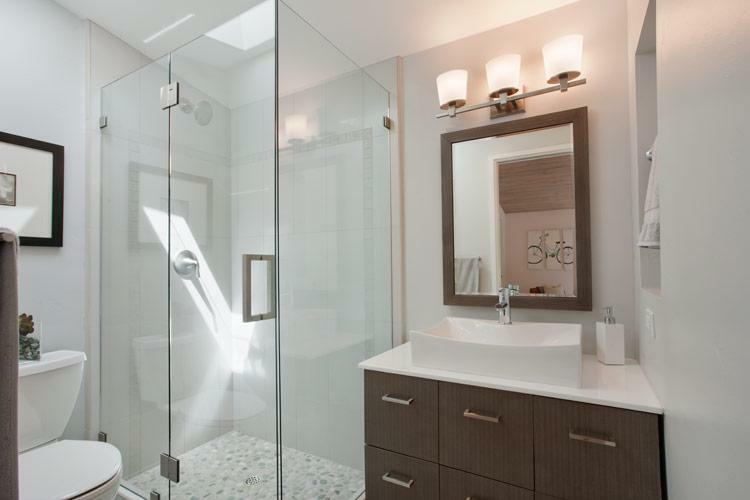 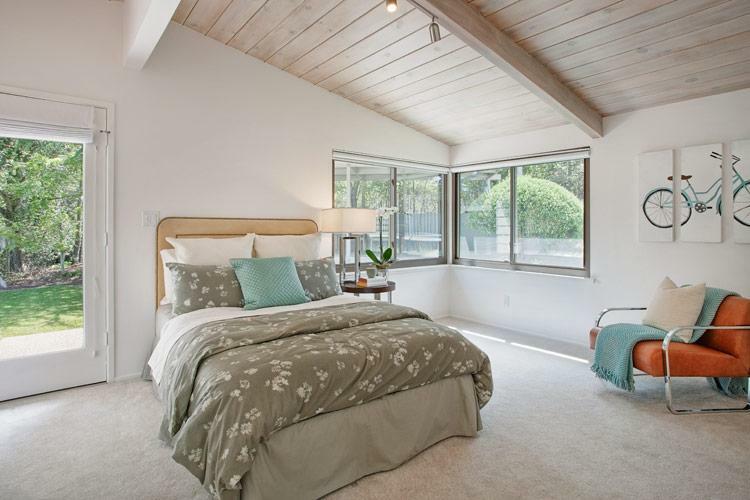 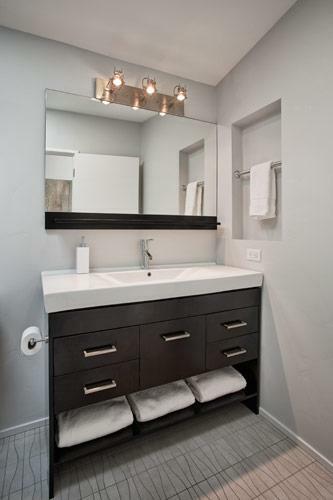 •Master Bedroom Suite includes a remodeled bath with walk-in shower, dual vanity and plentiful clothing storage in both walk-in and double closet.